I fibbed…a little. In my opening remarks in the last auto review, I stated that was my final rerun review for a while. Turns out, THIS is my last rerun review for a while. It is not a rerun for moi, but a rerun for GearDiary readers – the 2017 Volvo S90 sedan. Judie brought you first word(s) of the new flagship from the Scandinavian automaker, and we got to spend last week behind the wheel of the S90 T6 AWD Inscription model. S90 is the second vehicle utilizing Volvo’s Scalable Product Architecture (SPA) platform – the first being the newest XC90 crossover. 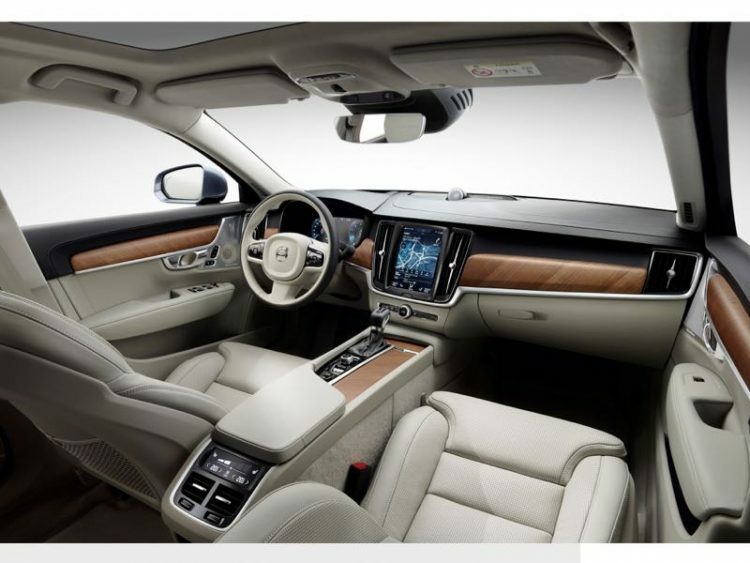 The big new sedan features the new look of Volvo along with a host of its modern amenities and technologies. 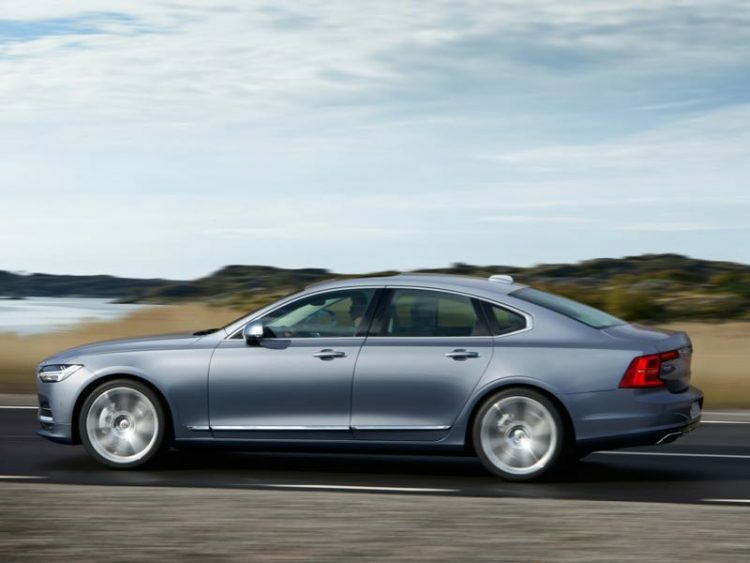 Perhaps one of the most significant features of the S90 is its powertrain and the statement it makes. Volvo has said from this point forward it will put nothing larger than a four-cylinder engine in any of its vehicles. To generate the power and torque clients will demand, engineers are utilizing turbochargers and superchargers in all new Volvo models. 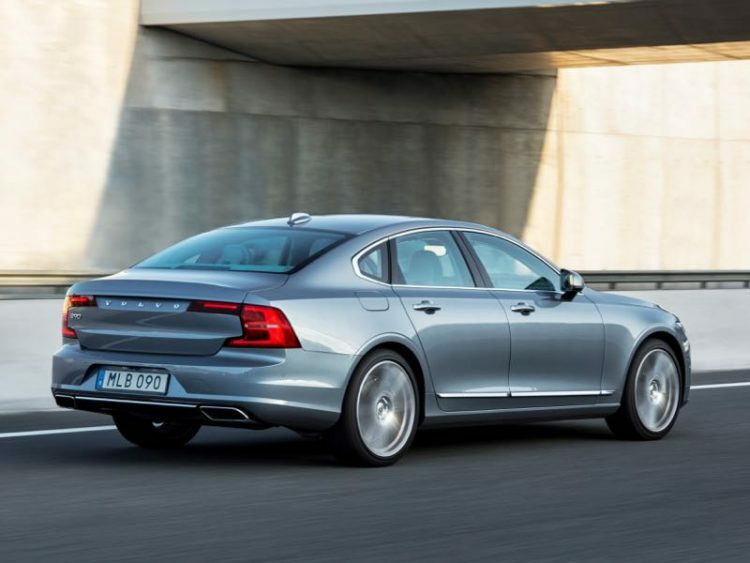 The base engine for the S90 lineup is a turbocharged 2.0-liter inline four dubbed T5 that generates 250hp and 258 lb. ft. torque. Our T6 tester arrived with the supercharged AND turbocharged 2.0-liter inline four, good for 316hp and 295 lb. ft. torque. And the new T8 powertrains will add hybrid/electric technology to the mix for an even more impressive response. 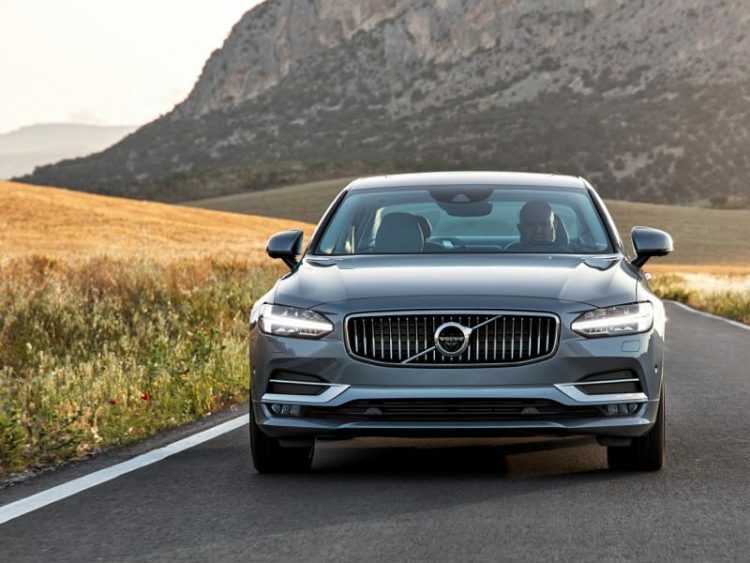 The S90 is primarily front-wheel drive, with our tester outfitted with the AWD with Instant Traction running gear. We got the opportunity to test the AWD on some really nasty North Texas backroads along with some passing downpours. The S90 handled all of this beautifully. All 2017 Volvo S90 models are outfitted with eight-speed automatic transmissions. One item we found odd to be missing from the vehicle is steering wheel mounted paddle shifters. As a vehicle that aspires to be a blend of luxury and sport, it is odd this item is not included. Heck, we even had them on the little HR-V crossover from Honda. Style-wise, folks kept thinking this car was a Jaguar. 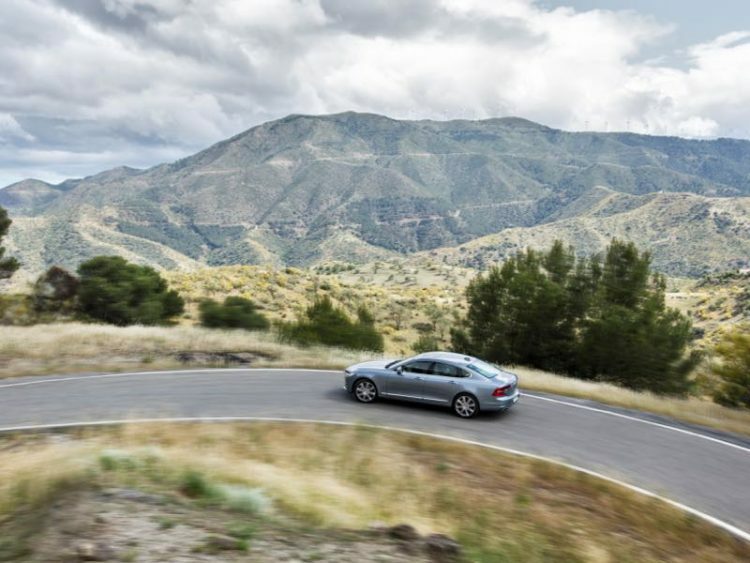 Its lines can be mistaken for its once-upon-a-time stablemate when the brands were all underneath the Ford umbrella, but Jag is now Indian-owned and Volvo is Chinese. 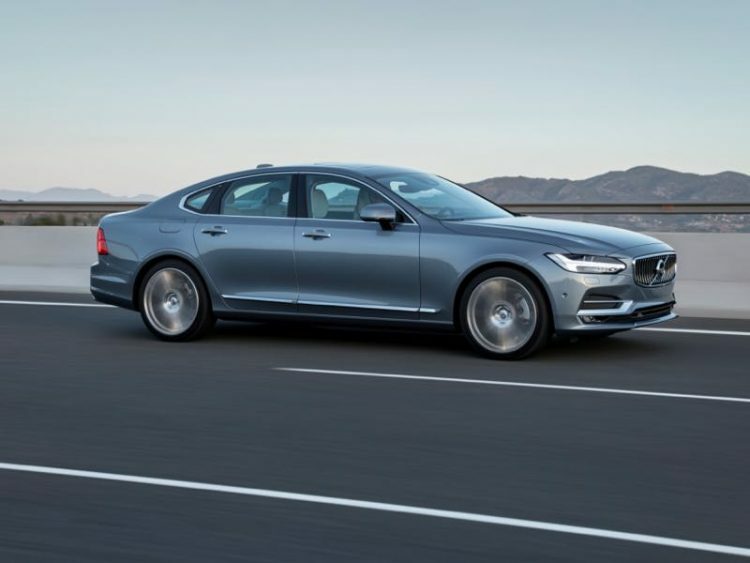 Designers gave the 2017 Volvo S90 long side windows with a sweeping roofline at the rear that is akin to the modern coupe/sedan styles we see around the globe. The vehicle is very well balanced with short front and rear overhangs and it is wider and lower than much of its competition in the mid to large sedan category. 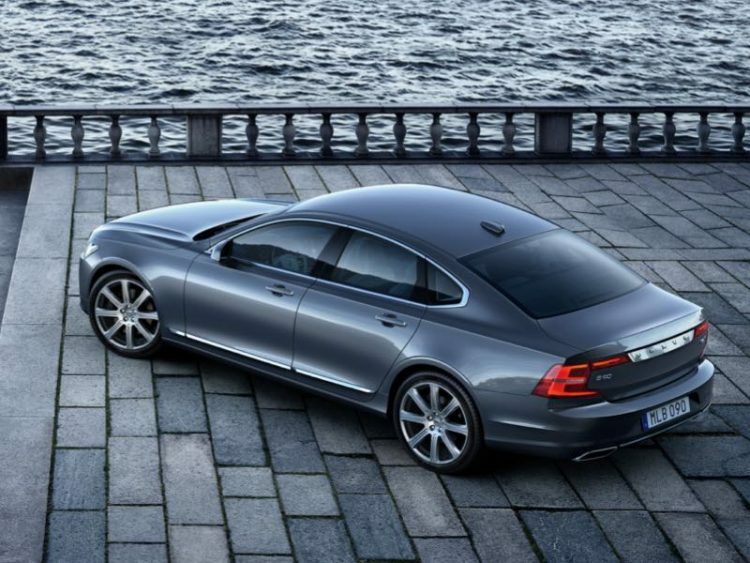 The EPA calls S90 a midsize car, but we beg to differ. As much as we enjoyed driving the S90, merely sitting in it is quite the treat as well. There is lovely craftsmanship at every turn of the head, and the level of technology is cutting edge. Right off, one cannot help but notice the tablet screen in the center dash. This is the heart and soul of the infotainment, climate, and driver’s assistance systems. Nearly every function you need to accomplish in your S90 can be found here. Except for starting the vehicle, and that is done with the unique start/stop knob in the center console next to the cupholders. Behind this is the drive mode selector where operators can choose between Eco, Comfort (Normal), and Dynamic driving modes. The Dynamic setting enhances engine, gearbox, throttle, steering, and brake responsiveness. Seating is comfortable and supportive and both front seat occupants are treated to heat and ventilation with adjustable lumbar and side bolster support along with adjustable seat bottom for leg support. I was disappointed to learn Volvo offers massage function in these seats and they did not arrive on my “fully loaded” tester. At least Buick included this option in the LaCrosse we tested not long ago. As in that Buick, the Volvo S90 offers ample leg- and shoulder room both front and rear. The trunk offers ample cargo space and the Inscription package puts a power function on the trunk lid. Let’s get to the elephant in the room, and by that, I mean the tablet in the center dash. As I mentioned, nearly all audio, navigation, climate, and vehicle systems are controlled via this device. That said, I miss buttons. The touchscreen seemed to be very finicky, and sometimes it took three touches to access a main function. There is voice recognition in the big Volvo but, to be honest, I hate talking to vehicles. I also do not stop and ask for directions. Normal driver’s functions are displayed in the usual position ahead of the steering wheel in a 12.3-inch digital driver display screen; Volvo also offers head-up display in the S90. The highlight of the interior for me is the Bowers and Wilkins premium audio system. This is an audiophile’s dream and quite possibly the best-sounding system off the showroom floor in any vehicle. There is even a setting where audio engineers were able to make the S90 sound like the Gothenburg Concert Hall from Volvo’s hometown. The sound experience function allows listeners to choose from studio, individual, or concert hall settings. Engineers also use the audio system for some noise cancellation functions in the S90 as well as providing some beefier engine sounds in dynamic driving mode. Much of the technology found in the 2017 Volvo S90 is cutting edge, including the Pilot Assist II function where the vehicle can basically drive itself up to 80 mph for short periods of time. The S90 also features world’s first road edge detection and run-off protection that works in conjunction with lane keeping aids. Volvo’s City Safety and blind spot information systems are included as well as the new large animal detection system with auto brake. Not sure how many of you run across a moose or elk in your daily commutes, but here in Texas, we do get our fair share of cows and feral hogs crossing our paths. Pricing for the 2017 Volvo S90 begins at $46,950 for the T5 FWD Momentum model. Our T6 AWD Inscription arrived with a final sticker of $66,365. Fuel economy from the supercharged/turbocharged engine is 22 mpg city and 31 mpg highway. We enjoyed nearly every aspect of the new Swedish flagship. One criticism is the road noise and vibration we got from the tires. I had to check to see if they were over-inflated as that is how they were acting. Every imperfection in the road surface was picked up and transmitted by sound and feel to the cockpit. Perhaps some new tires will fix this and then we would highly recommend the Volvo S90 to anyone shopping the luxury sport sedan segment.